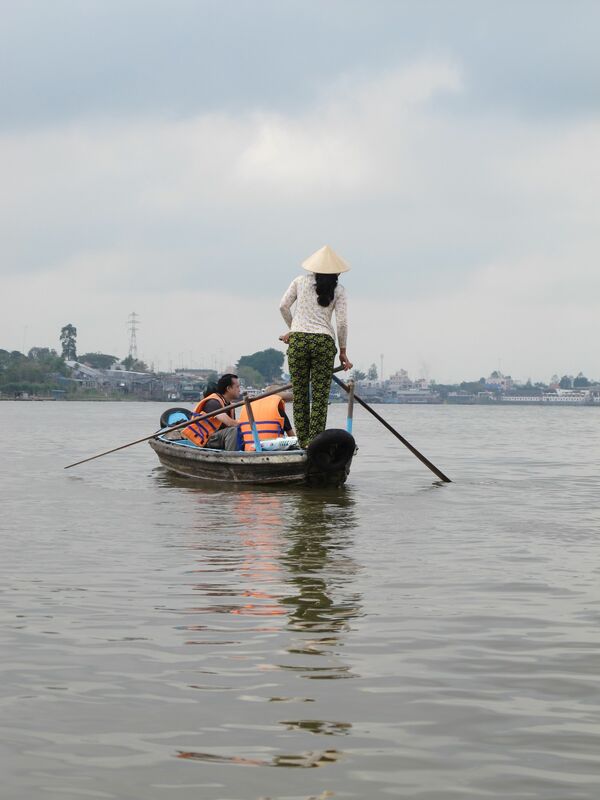 Vietnam has such a visceral mix of diversity, culture, pride, warmth and determination. As we’ve reflected on our journey through the country, we thought the best way to relay the experience, was to tell the story of getting to know ‘Vietnam’- ‘the person’ and how we pealed back the layers to understand her appetite, heart, soul, mind, physicality, experiences and memories. In the process, we also found ourselves falling for this long elegant country, it invited us into the intimacy of her home and revealed a few of it’s secrets, quietly. We also found ourselves infatuated at the beginning of this relationship, wanting to know everything and seeing difference with every unique encounter with her. 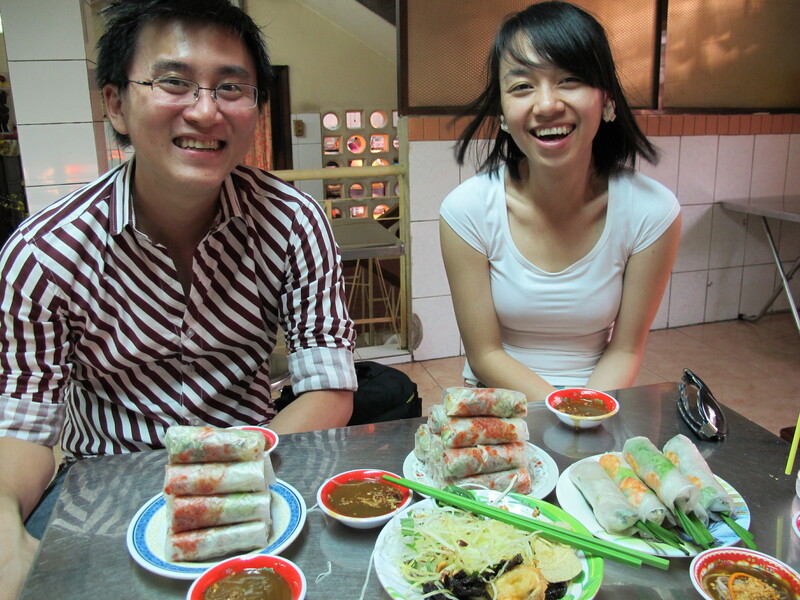 The decision to visit Vietnam was instigated by friendships we had formed with the six Vietnamese classmates during our MBA. Even outside of their home territory, they exuded a warmth and generosity of spirit that we wished to see the source off, as our understanding of Vietnam up to that point was of a war torn impoverished land. Our journey to Vietnam started on the third day of our New Year 2012, leaving a crowded China on a cold train at 18:45, with just the two of us in our sleeper cabin, suggesting to us that this was not a popular route to enter Vietnam. Passport control to leave China punctuated the journey at 22:00, requiring us all to disembark from the train, scanning our bags with us ceremoniously getting back on the train in neat lines, in the dark. We entered Vietnam at midnight, off the train again, with a humorous role call of our passports when they had finally finished inputting all the required data, very slowly albeit (we began to wonder why this train was operating at night, and cynically thought it was to take advantage of double-time bonuses). 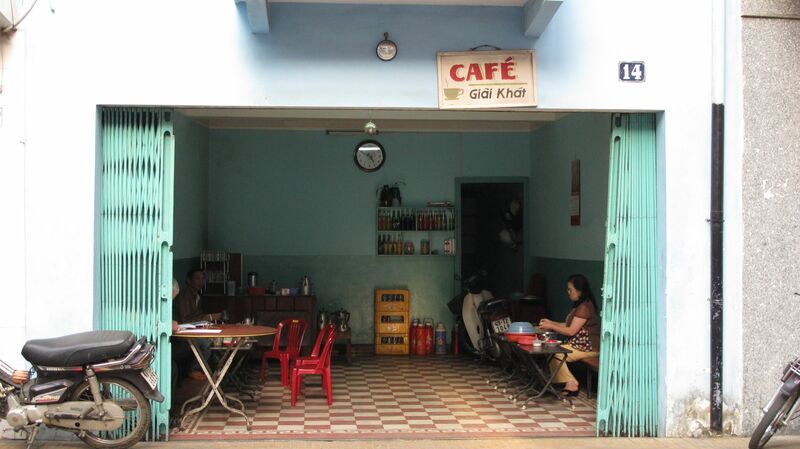 We were then woken four hours later having arrived at Hanoi the capital of Vietnam, in a station that felt like a provincial town on the Dublin to Galway train route. Mysteriously the crowds that piled onto the train in China had evaporated with only the foreigners left to wrestle with the barrage of taxi drivers at 05:00am. They all offered the same service and all equally tried to rip us off and get value from their early morning start. It’s unusual to feel jetlag from a train journey, but this route certainly left us feeling that way. 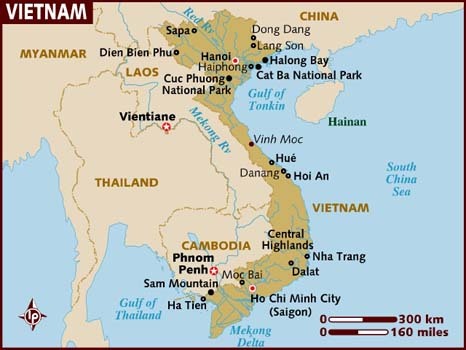 For those that don’t know Vietnam that well, it has population of 85 million, increasing two-fold since the war, which by the way they call the ‘American War’ rather then the infamous ‘Vietnam’ one. Its GDP per capita is a mere $2,800, compared to the US, which is $46,400. The Country has been experiencing continuous growth since the late 90’s, with a slight speed bump during the financial crisis in 2008. The government’s main challenges are how to dampen the growing inflation of 15% a year. They have also imposed enormous taxes on cars, leaving the majority of people on motorbikes, probably sensible given the traffic jams we experienced. Life expectancy is only 71 years, with the result that parents but enormous pressure on their kids to start their families quickly, so that they can enjoy their grandchildren. There are also no pensions, so it’s necessary for children to look after their parents, with the daughter in law of the eldest son obliged to live and care for the family. The reported unemployment rate is 4-6% (this could be questionable with the amount of men on street corners offering motorbike taxi service and the proliferation of street sellers making very little). The median age is thirty and is considered the golden age for Vietnam’s development. Private wages are lower than then the public sector, with state employees earning $200-280 a month. There is also increasing resentment to foreign companies, with protests at a Taiwan owned factory that were paying $89 per month. On paper, the Government denies citizens the right to practice religion, but spirituality is strong and ritual practices forming the corner stone of everyday life. Former Saigon, (although the locals continue to call it so) is known as Hoh Chi Minh City since the war ended, it receives 50,00 migrants a year and is congested with motorbikes, yet overflowing with vitality. I wondered if it’s really possible to label Vietnam a communist country in the ideological meaning or is it more a fusion of al a carte capitalist characteristics? This entry was posted in Vietnam and tagged Introduction to Vietnam, travel, Vietnam, Vietnamese culture. Bookmark the permalink.